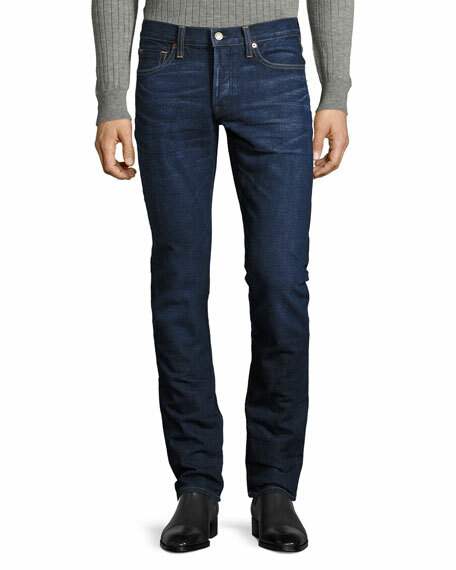 TOM FORD denim jeans in Worn Blue indigo denim with whiskering and fading. 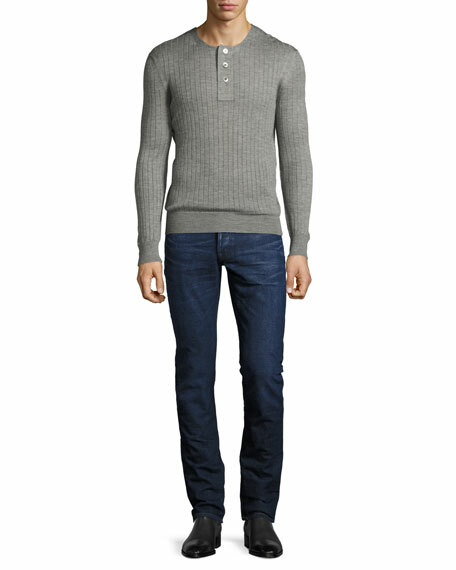 Slim-fit style sits lower on waist with streamlined silhouette; slim hip and thigh through hem. 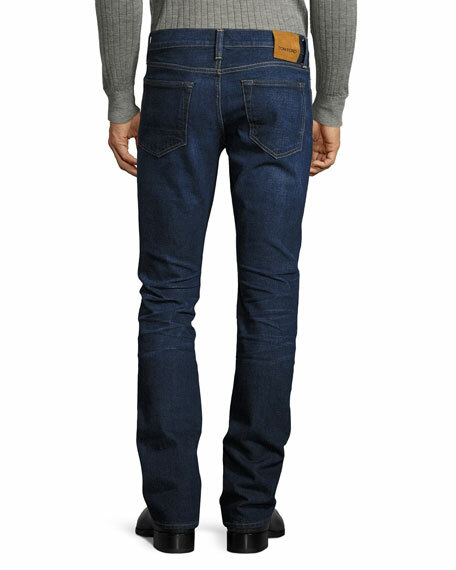 For in-store inquiries, use sku #2038536.